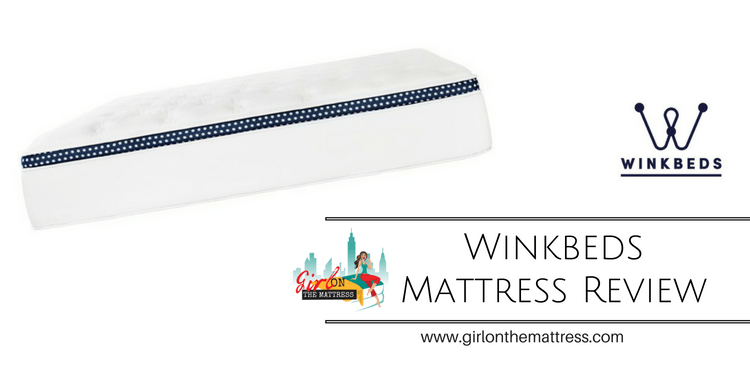 WinkBeds is a high-end hybrid mattress and is one of the nicest beds that I have reviewed. It is built with premium materials and features an above average profile of about 14.5 inches. The WinkBeds Mattress is a luxury hybrid mattress (springs + foam), that is handmade fresh to order at the company’s Wisconsin factory. My impression of this mattress is that it looks and feels like a premium product, especially compared to most of the direct to consumer brands you’ll find online. My first impression was that this mattress is a major step above 95% of the others I’ve reviewed. The feel is much closer to what you would find in an upscale hotel than a Casper showroom. Overall, I’d say this is the most substantial or well-built mattress that I have reviewed so far. That said, it’s not for everyone though, so read on my Winkbed mattress review below to learn more. Euro Pillow Top Foam Layer – is a 2-inch pillow top style combination of hypersoft foam that is meant to provide pressure relief and gel foam that contours to your body and helps with motion transfer. It also pulls heat away from your body and eases muscle tension by ensuring that your back, hips, and shoulders get the right levels of cushioning and support. Foam Encased Pocketed Coils(Microair Springs) – is a 2.5 coil layer that supports the foam layers above it. These coils allow your bed to breathe, helps to improve airflow through the mattress and around your body to reduce moisture. Edge Support – is encased with a high-density poly foam that adds up some durability to the mattress. It also allows you to sleep near the edge of the bed without causing compression. Lumbar Support Layer – is a 1″ pad designed to provide extra support in the middle “lumbar” region of your body, preventing lower back sag and joint misalignment. Pocketed Coils – is the support layer that consists of individually wrapped pocketed coils which allows them to conform to the body. The coils also allow for airflow through the mattress to help with temperature regulation. Support Foam – acts as the foundational support of the mattress as well as provides the shape of the mattress and some durability to the entire bed. The cover of WinkBeds Mattress is made with a Tencel fiber, a eucalyptus-based 100% natural performance fabric making it eco-friendly. It is cool, soft and wicks away heat because it is extremely breathable. The cover also contains a memory foam layer quilted in as a pillow top. How Does The WinkBeds Mattress Perform? The WinkBeds Mattress is a 14.5″ coil-on-coil hybrid mattress available in four different firmness constructions – soft that has a firmness scale of 4.5, Luxury firm 6.5, Firm 7.5 and the WinkBed Plus at 6.5 with 10 as the firmest. Winkbed recommends the soft for side sleepers, the Luxury Firm for multiple sleeping positions who prefer medium firmness and without specific needs and the Firm for those who like to sleep “on and not in” their mattress. This mattress offers a 3-Step Back-Relief System created to minimize pressure points and support your spine as well. So, you can now say goodbye to back pain and hello to comfort. Why? Because this mattress relieves muscle tension and pressure, optimally align low back and hips, and enjoy adaptive back support. It also has triple layer heat disperse technology designed to offer a cooler, more comfortable night sleep by pulling heat and moisture away from your body, maximizing airflow and cooling you down. WinkBeds Mattress has a layer of stabilizing Gel Foam with Sleepcalm Motion Isolation Technology that eliminates motion transfer and sleep disturbance even with a restless partner. The mattress sleeps cool due to the breathable Tencel cover, cooling gel foam and excellent air circulation. It has foam enhancements that provide additional support through the middle part of your body preventing lower back sagging and misalignment so, sinkage should be less of your concern. WinkBeds also included an edge support casing providing more sleepable surface area with no sagging at the edge of your bed regardless of the sleeping position you and your partner have without having to worry about sliding off the bed. It can hold up to your weight even if you’re on the heavy side, so compression is not a problem even when rolling around or sitting near the side of the bed. WinkBeds Mattress promises great comfort and contouring, pushback support, better airflow throughout, and greater durability over time. It also offers a lifetime period warranty, 120 night trial period risk-free with 100% refund if you don’t get the best sleep and if defective in any way, it can be replaced at zero cost. Shipping is free and delivered within 7-14 business days. WinkBeds Mattress offers consumers premium quality designed mattress at a reasonable price. This mattress is ideal for sleepers with multiple positions and weight ranges as well as couples or partners that may have different comfort preferences. This bed is a great choice if you want both foam and spring in one bed. The foam layer provides the soft and comfortable feel while coil springs provide edge support that heavier customers will appreciate. It is a mattress that is well built, handmade-to-order using the finest American-sourced materials meeting the highest quality control standards, independently tested for durability that is expected to last at least 10 years. This mattress can only be purchased online, fresh to order, and ships direct to your door, cutting out the retailers, so the price is lower thus, you get to save thousands off retail prices. How will the mattress be shipped? The WinkBed is rolled and shipped in a box that is 84x17x17. It is wrapped in a protective plastic wrapping and gets delivered in white WinkBeds branded cardboard box. It is ready to use after unpacking once the mattress expands. You can sleep on the mattress for 120 nights. If you don’t love it, WinkBeds gives you a full refund and arranges to pick it up, at your convenience, for free. WinkBeds just asks that you sleep on the mattress for at least 30 nights before returning or exchanging. Can I exchange my mattress? Yes. While it is rare that someone is unhappy with the original firmness level they select, WinkBeds does offer easy exchanges. During an exchange, your new mattress is free, however, there is a $49.00 charge, which simply covers a white glove delivery of the new mattress, removal of the original mattress from your home, and any state or local mattress recycling fees. When exchanging your mattress, you get a new 60-night trial beginning the day you receive the second mattress, to make sure it is the right fit for you. What’s included with white glove service? “White glove service” is the premium delivery option. 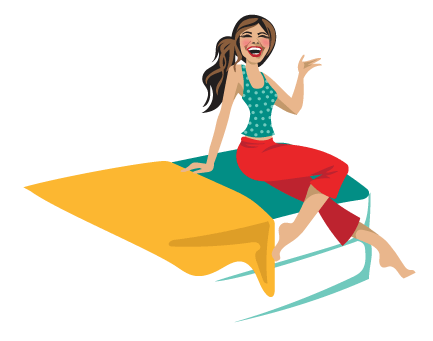 It includes delivery of your mattress up to the bedroom of choice, unboxing the set, and placing the mattress and foundation on top of your bed frame. Our delivery partners will remove all trash when they finish (box, plastic wrap, etc.). The cost for this service is $99. I see the mattress comes rolled in a box. Does it need a foundation, and if so, how is that shipped? We need a little help determining firmness. I am 5’2 and 240. My husband is 5’11 and 350. What is your take on the proper firmness?